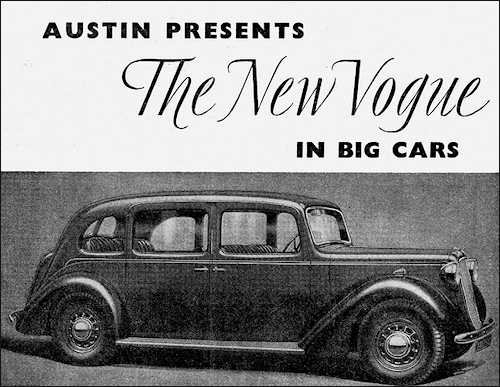 Seven Ruby (late '37 advert). 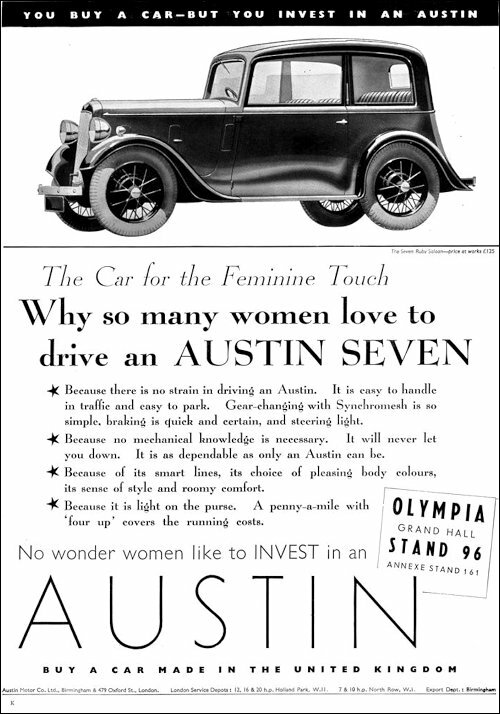 Austin Seven was in its last full year. 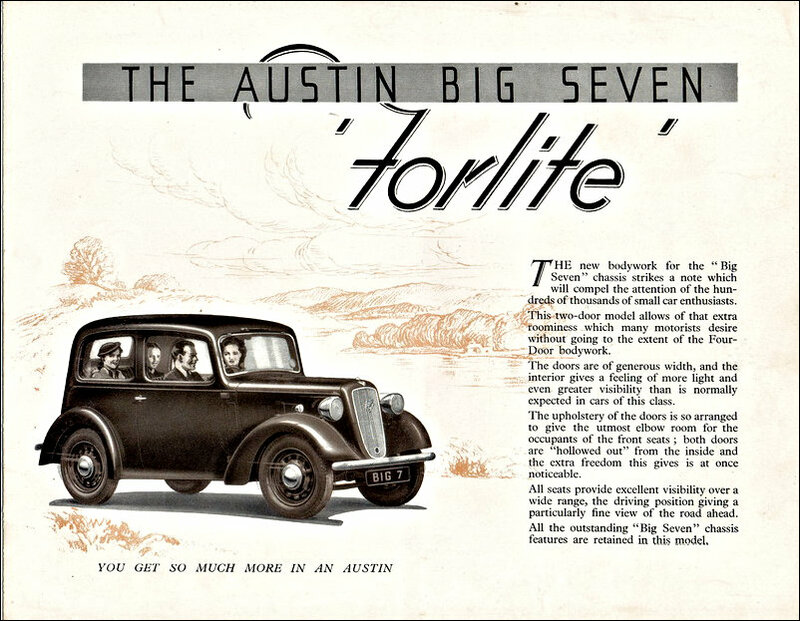 There were Saloon (Model ARR), Cabriolet (AC), Tourer (AAL) and Two-seater (APE) body styles. From July they had full Girling brakes and concealed bonnet hinges. 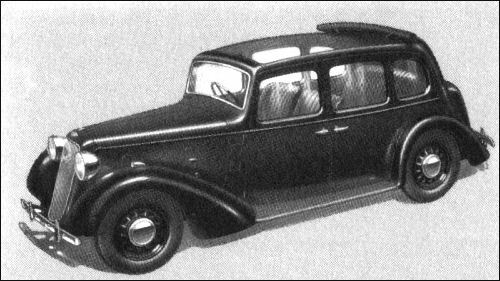 Ten Cambridge Saloon and Conway Cabriolet looked similar to Fourteen, but are somewhat smaller and have four-cylinder 32-bhp power unit. 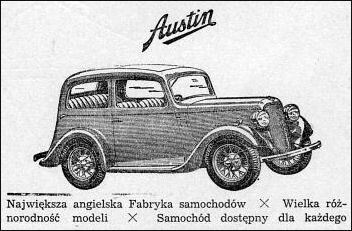 Austin Fourteen Goodwood Cabriolet was similar to Fourteen Goodwood Saloon except for the roll-back roof. 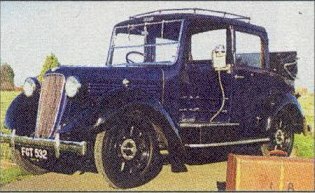 Wheelbase was 9 ft 4 in. Engine was a 1711-cc (65.5 x 84.63 mm) side valve Six, developing 52 bhp and rated at 15.96 HP. 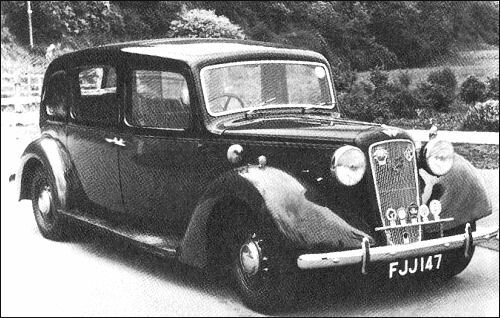 Austin Eighteen Iver is a seven-seater Limousine on 10 ft 3 in wheelbase chassis, powered by a 65-bhp 17.9 HP side-valve six engine of 2510-cc capacity (69.35 x 111 mm). 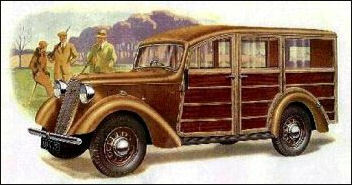 Without sliding glass partition it is known as the Windsor Saloon, with 9 ft 4½ in wheelbase (five-seater) as the Norfolk. 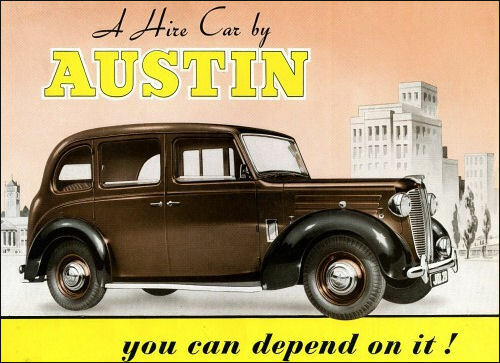 Austin Hire Car four cylinder, 2199-cc, 68 bhp, wheelbase 2.81m.